Back to School time can be hectic! Between getting everyone back on schedule, finding time for homework, after-school activities, football practices… You need dinner ideas that are quick and easy to make it all work! Here is a recipe that is easy and sure to be a fan-favorite! Throw it in the crock pot and you will have dinner in a few hours with no effort or babysitting. Serve with steamed rice for a delicious and filling meal. This recipe is also a great option for entertaining! Serve these straight from the crock pot and let your guests make little sandwiches with King’s Hawaiian Rolls. 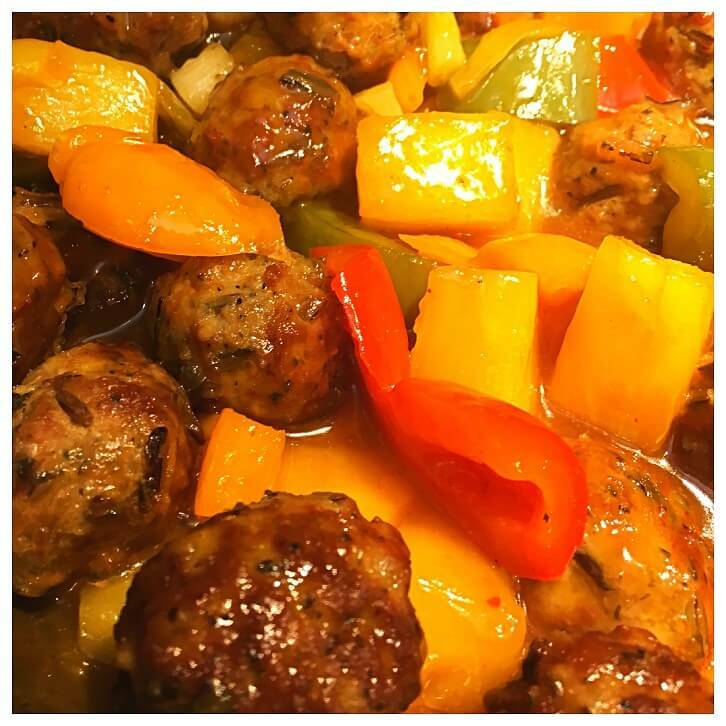 Versatile, tasty and simple, featuring No Name Brand Wild Rice Meatballs! Place No Name Brand Wild Rice Meatballs, Hawaiian marinade, pineapple chunks with the juice, soy sauce and vegetables in a crock pot and cook on low for 4-6 hours or on high for 2-3 hours, or according to your slow cooker’s manufacturer’s instructions. If meatballs are cooked from frozen, the longer cooking time is suggested. If meatballs are defrosted, the shorter cooking time is suggested. Serve with steamed rice as an entrée or with King’s Hawaiian Bread as an appetizer. HINT: In a Hurry? This recipe comes together quickly on the stove or in an electric skillet as well!